With almost 30 years collecting experience the ‘1 Stop Madonna Shop’ aims to be a source of information for all Madonna fans as well as a great place to enhance your collection without having the need to browse through other artists material. 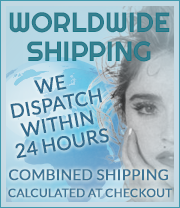 We are an online only web shop based in the UK trading worldwide since 2001 through various third party platforms and we specialize in all things Madonna , offering sought after collectibles including commercial releases, worldwide promo's, vinyl, cd’s, cover magazines, memorabilia, limited editions and much more with thousand’s of items in stock spanning Madonna’s entire career. If you require any information regarding any products or orders please feel free to Contact Usand we will always try to return your query within a number of hours. The record shows some signs of having been played, but there is very little lessening in sound quality. The cover and packaging might have slight wear and/or creasing. As a general rule, CDs and cassettes either play perfectly - in which case they are in Mint condition - or they don't, in which case their value is minimal (We will still grade some cd's Excellent or very good even if they play perfect depending on the surface marks which will not affect play). Cassette tape is liable to deteriorate with age, even if it remains unplayed. Magazines and Paper Goods including Cassette and CD inlays and booklets should be graded in the same way as record covers and sleeves. In general, the plastic containers for cassettes and CDs can easily be replaced if they are broken or scratched, but card covers and digipaks are subject to the same wear as record sleeves. The price of all items can be displayed and calculated in UK Pounds, US Dollars or Euros. In order to change the currency simply click on the Currency title situated next to ‘View Basket’. 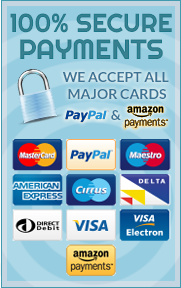 If you would like to see other currencies feel free to contact us using the ‘Contact us’ form. In the event you are unhappy with your purchase for any reason we offer a full money back guarantee once the item is returned to us within 14 days in the state it was initially delivered (for example - sealed items must remain sealed and all returns must be sent back packed professionally), Before returning any items please contact us through the ‘Contact Us’ Form so we can assist you with our returns process. 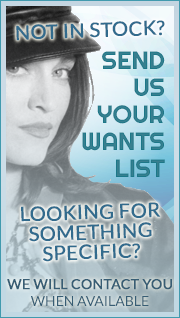 We currently have many collectibles not listed and may have the items you are searching for to complete your collection. Feel free to use the ‘Contact Us’ form to list any Madonna items you are searching for, Making sure to include the catalogue number and country of origin if known. If the item is available or becomes available we will contact you immediately.